Pipes are an integral part of every plumbing system, they deliver water to your property and dispose of wastewater away from the property in a clean and efficient manner. When a pipe experiences an issue, it can cause a multitude of problems and render the plumbing system obsolete. If you an issue with the pipes, contact a plumbing repair company right away. The longer you wait to repair the issue, the more costly and serious the consequences can be. Having your pipes repaired will improve water flow in your property, better the quality and taste of water, save you money on maintenance and repairs, lower your monthly utility bills and keep your property safe from water damage. 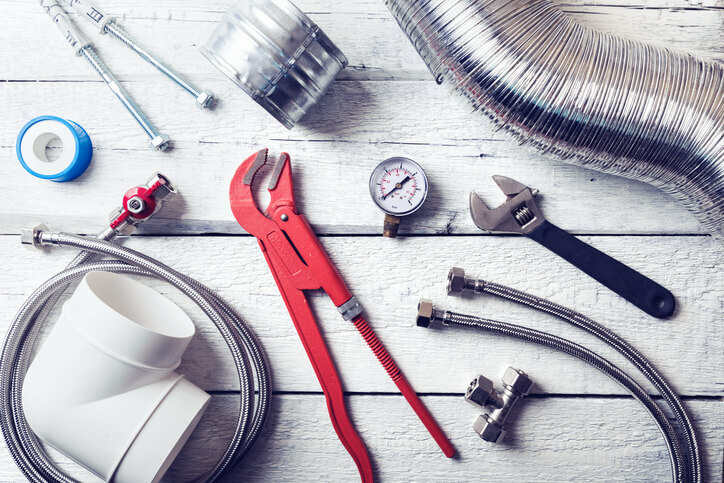 Plumbers with Sunshine Plumbing & Gas have all of the necessary tools, knowledge, and experience to quickly and efficiently address any issues with your pipes. Don't wait — contact us today! What Are Common Signs Of Faulty Pipes? The following signs commonly indicate piping problems that require repair or replacement. What Are The Dangers Of Faulty Pipes? Corrosion, rust, and cracks in pipes can all lead to serious water issues. A cracked pipe is susceptible to bursting or leaking and could cause severe property damage and flooding. Leaks will also lead to more expensive water bills and decrease energy efficiency. Pipe corrosion can cause dangerous chemicals to infiltrate the water that arrives to your property and place your health and any other person who drinks the water at risk. If you notice that your property has faulty pipes, trust Sunshine Plumbing & Gas to perform your Ocala plumbing repairs. What Piping Services Do You Provide? We understand how important having efficient and effective pipes are to maintaining the integrity of your plumbing system. That’s why we provide the highest quality plumbing services to North Central Florida homes and business — contact us for all-encompassing plumbing solutions. As a commercial establishment, it is crucial that no issue affects your business, customers, or employees. However, faulty pipes can quickly lead to customer and employee dissatisfaction, an unsafe environment, and severe damage to your property. We can provide you with timely and reliable commercial plumbing services to repair damaged pipes in your business before the damage becomes a disaster situation. Unlike residential plumbing, commercial plumbing can sometimes be more complex due to the many necessary plumbing functions and because of the larger size of an establishment. Our plumbers are highly trained and experienced to tackle every type of commercial piping issues. If your current pipes are beyond repair we can efficiently and effectively repipe the system. Having clean water is a necessity in every home, damaged pipes can prevent clean water from effectively reaching the structure. Faulty piping can leave you without sufficient water pressure, without any water at all or even contaminated water, which can pose serious health risks to you and your family and severely affect your home comfort. Malfunctioning pipes can quickly become burst or leaking pipes, resulting in water damage. Water damage can be quite extensive depending on the type of pipe that breaks and could even compromise the structural integrity of your home. Don’t fall victim to piping disasters — contact us for residential plumbing and piping services. Our plumbers can quickly repair broken pipes or repipe the system to ensure the safety of your family and your house.